More of a Mexican take on the Spicy Lentil Soup recipe, this uses 2 relatively mild dried chillies to bring in a breadth of flavour. Again, the chillies here add interest and not just heat – the Anchos bring a full fruity flavour and an intense dark colour whilst the Meco (pronounced May-Co) chipotle adds a wonderful smokiness. This soup has a medium heat, pleasantly warming for those cold winter meals. 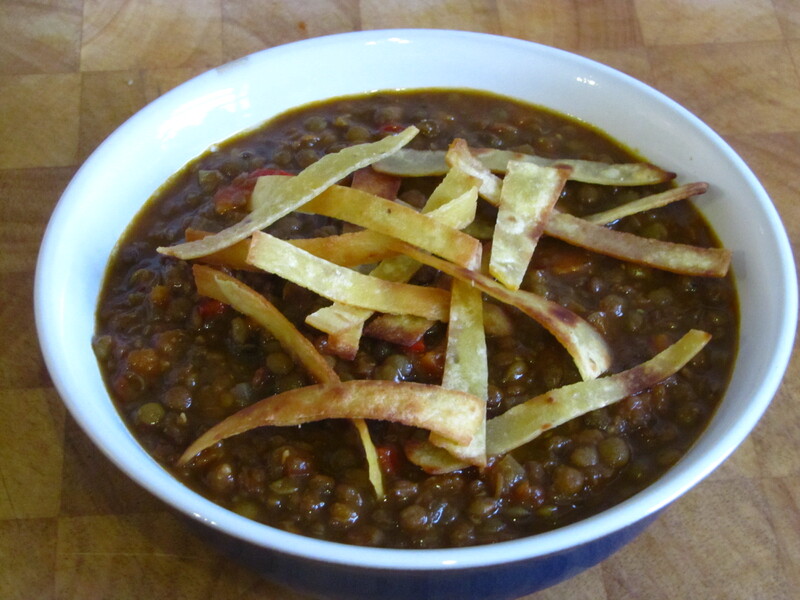 This lentil dish sounds really flavourful and delicious. I love that it also seems very simple to make. It must be a perfect comfort food. Is this only available in the UK? pity. Would be great if they shipped? Do you know? Recommended by the great Delia herself, This is one of my ‘must have’ ingredients these days – the easiest way to get good quality vegetable stock for everyday use. Not one of your ordinary MSG infused stock powders, but ‘real’ ingredients – it really does make a difference. I’m sure there are comparable products in Canada (probably need to check health food shops), if not, you may have to resort to an on-line supplier. Maybe contact the suppler direct?